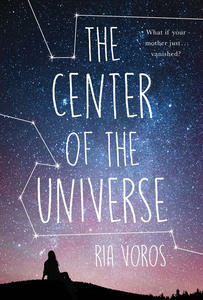 Literary worlds collided when YA novelist Ria Voros, whose latest is The Centre of the Universe, connected with astrophysicist Dr. Elizabeth Tasker. She writes about exoplanet research. I write about adolescent humans. This month, astrophysicist Dr. Elizabeth Tasker and I are embarking on a multi-city book tour in Canada in support of both our books. Hers, The Planet Factory, is nonfiction, and mine is a young adult novel called The Centre of the Universe. It turns out our areas of interest have some overlap, and maybe not in the ways you’d imagine. Our connection goes back to January 2018, when I was working on the final draft of my novel. I’d written a male astrophysicist character for my astronomy-obsessed protagonist to look up to, but he didn’t feel quite right. I decided the astrophysicist needed to be a woman. And then I decided—because, why not?—that this character should be real. The known universe has a reasonable number of space scientists these days, and surely one of them would agree to be written into my story? At my local bookstore one day, I came across The Planet Factory on one of the display tables. Dr. Tasker’s book describes the latest research in finding exoplanets and possibly habitable worlds. The chapters were packed with detail, but also humour. She looked friendly in her author photo. I titled my email query "In Search of an Astrophysicist for My Novel." Would she be interested in being a character—a realistic version of herself—in my book? Could she give me some background details that would help me create the character? I titled my email query "In Search of an Astrophysicist for My Novel." Would she be interested in being a character—a realistic version of herself—in my book? For a month or so, our emails bounced back and forth between Victoria and Tokyo, where Dr. Tasker works for JAXA, the Japan Aerospace Exploration Agency. The result, other than my growing enthusiasm, was that my story now had a deeper seam to mine. Dr. Tasker’s research and voice made their way into my story, as well as an interview at the back which touches on things like her early career choices, what she loves most about space science, and how impostor syndrome has affected those in her field. Her character became a much bigger part of the story than I anticipated, and one of my book’s central metaphors—that the relationship between mothers and daughters is like a binary star system: two stars gravitationally bound in orbits around each other—came from The Planet Factory’s chapter on multiple star systems. But then things got even better. 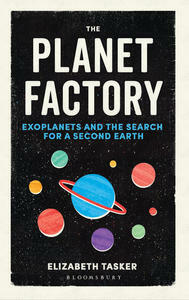 It turned out The Planet Factory was coming out in paperback in April, just after mine was released. Dr. Tasker mentioned, at the end of an email about black holes and event horizons, that she might be able to come to Canada to do some joint book events. Would I be interested in this? Could we plan something that would bring together science and arts audiences—astronomers and teens and teachers and book lovers? Which brings us to now, and the talks we’re doing in Toronto, Victoria, Vancouver and the Fraser Valley, and of course our official book tour video. It all started with me firing the old astrophysicist in my story and headhunting a real one, and now we’re taking on stages and auditoriums together, talking about science and stories and why the two are inextricably linked. And about why teens interested in astronomy shouldn’t be afraid to pursue their goals. And how collaborations lead to unexpected creativity, bringing together perspectives that enrich our understanding of the cosmos and each other.